Few people realize the damage one coat of paint can do. "The wood looks so old." "Dirty." "It'll brighten the place up." It'll help with resale." This single coat of latex has been the cause of much angst. And stripping it hasn't even begun yet. 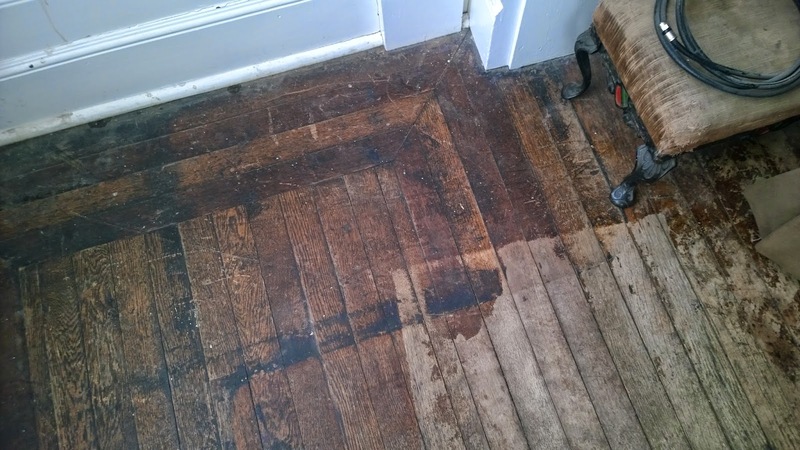 See how all the lovely wood work blends into blahness in these before pictures? Even the antique colonial revival fixture has been painted white! This room is our main parlor, just off of the original entry hall. It's the last room that's cut up (with a large closet and bathroom), although we won't be tackling that demo until we're ready to build the master bathroom above it. For now though, we sold off our Art Deco living room set, which gave us access to the bay window. Once again, our house rewarded us with a few lovely surprises. We haven't had room to look back here with all the furniture, so the first thing I did was whip out the heat gun. The previous owner of our house had everything spray painted flat white to hide all the problems. Luckily there were multiple coats of paint so using the heat gun worked with any problems. I love it, the four huge windows make the space - but it'll be nice to finally start working on the woodwork. I've heard good things about soygel, but I'm trying to avoid using chemical strippers in this instance. 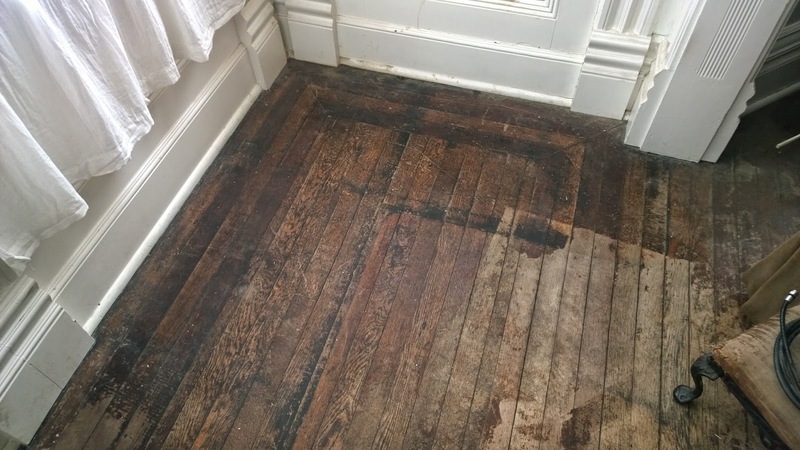 Chances are the woodwork is dyed, and I'd like to preserve that as much as possible, and not risk lifting it or making it blotchy. I hear you on the pain in the a$$ factor of one coat of paint. Have dealt with that on furniture, but not in the house. 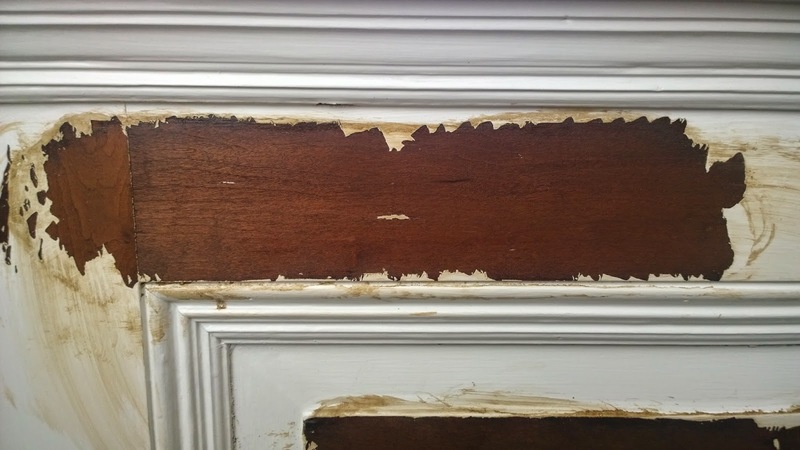 Our house has had painted woodwork from the beginning, and each owner seems to have put on a fresh coat of paint ... to the point where grooves in some moldings were completely filled in with paint. You sure you can't do a majority of the job with the heat gun? I stripped a single layer of paint off my hoosier with the heat gun and didn't damage the original finish underneath. It was a matter of gently warming the paint and peeling it away. I am thinking that this may work at least for your flat surfaces. It seems to work on the flat surfaces ok, but it's been difficult to get the scraper under the paint consistently - I think I'm going to break out ALL my scrapers and see which one works best, I'm more concerned with all the trim though, very, very little is flat in this room. 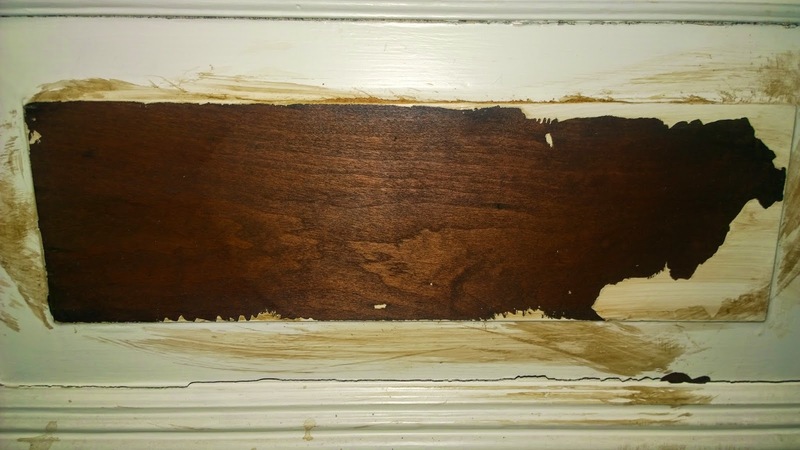 I may try the Peel Away for architectural woodwork (6 or 7 I think), we'll see. Well on the positive side you can measure and know exactly what size fretwork you need on you travels. This would make a nice Turkish corner, in fact if this room will be a TV room creating something exotic there might keep some of the reflective light out. I have a similar square box bay on the Nagele-Merz house. Throw a plant on a stand, drape some exotic looking fabric on the windows for drapes and your done. As for the woodwork try to determine if its been shellaced. 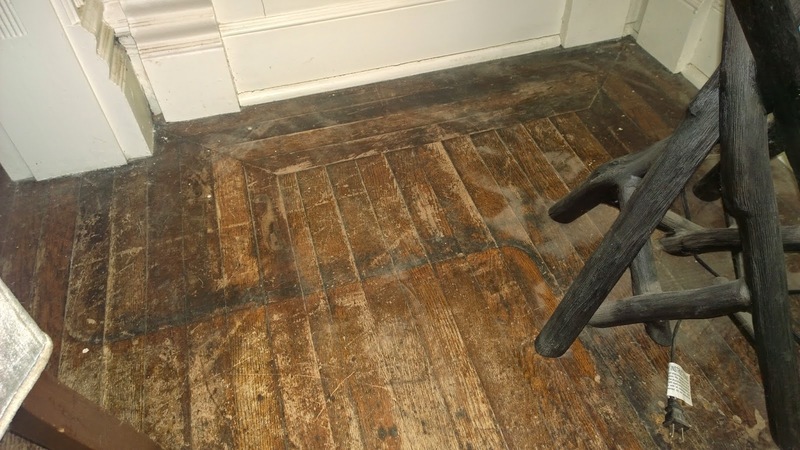 If you use some chemicals it can create a haze on the wood that is difficult to remove. I never determine what a room is going to be, I just let it evolve, more fun that way. I caught myself nodding in agreement and sympathy to your line, "terribly exciting, and yet sooooo utterly depressing." 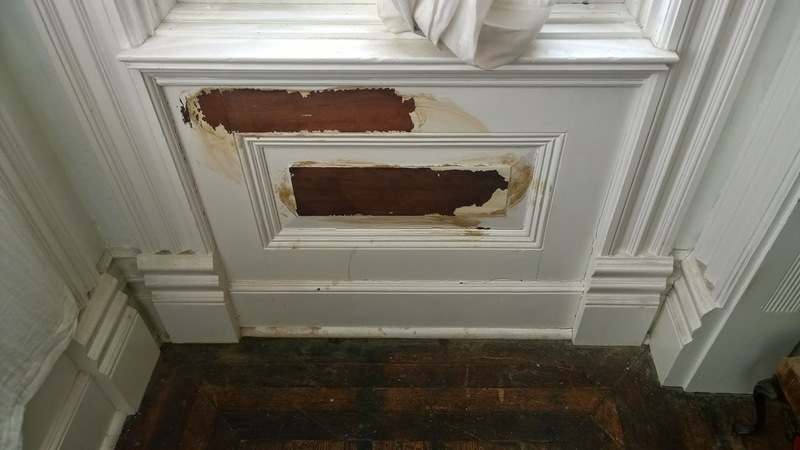 I know that feeling well - when I discovered the details of the paneling that had been removed throughout the 1st floor, when I confirmed what the original built-in used to be like - before it was removed. Great blog and amazing work you are doing. Keep it up!